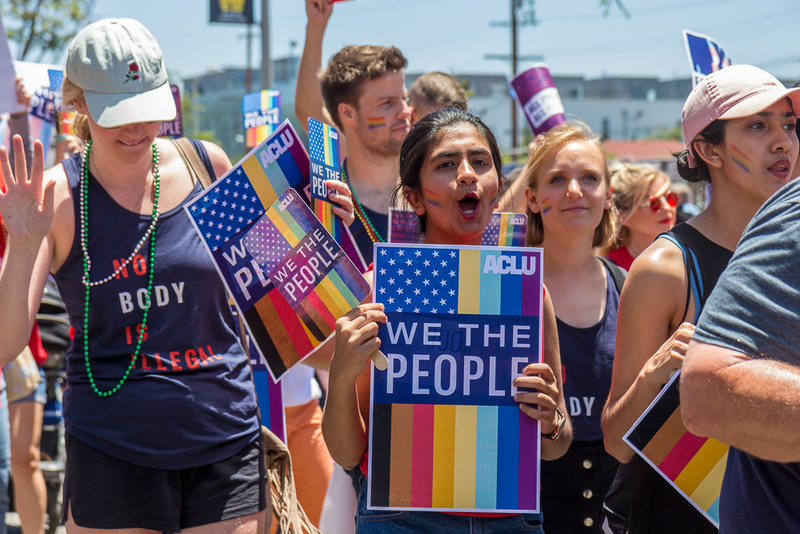 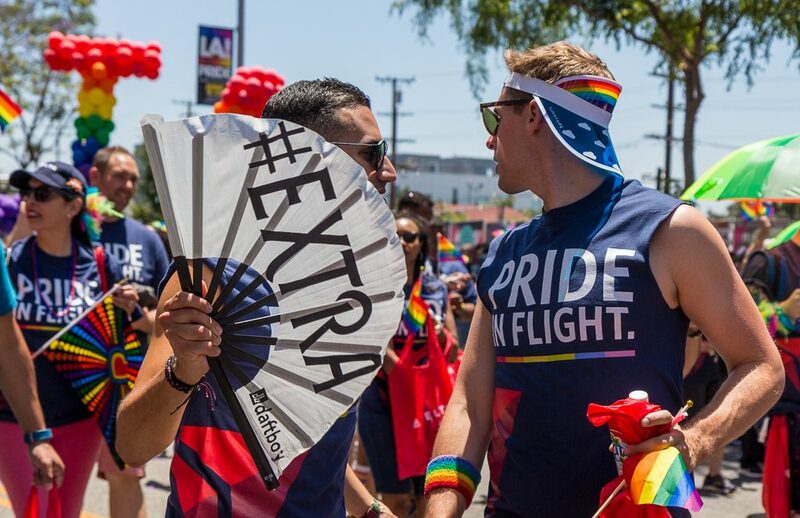 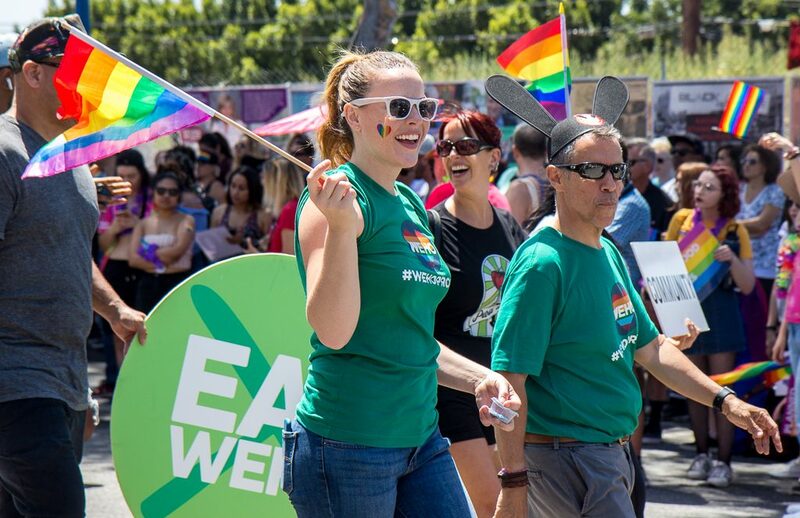 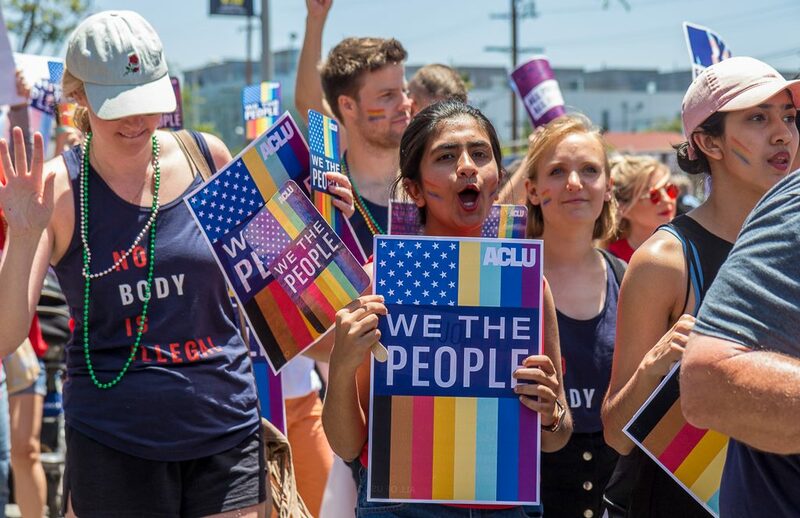 Members and allies of LA’s LBGTQ+ community gathered along West Hollywood’s Santa Monica Boulevard on Sunday, June 10th, in celebration of the 2018 LA Pride Parade. 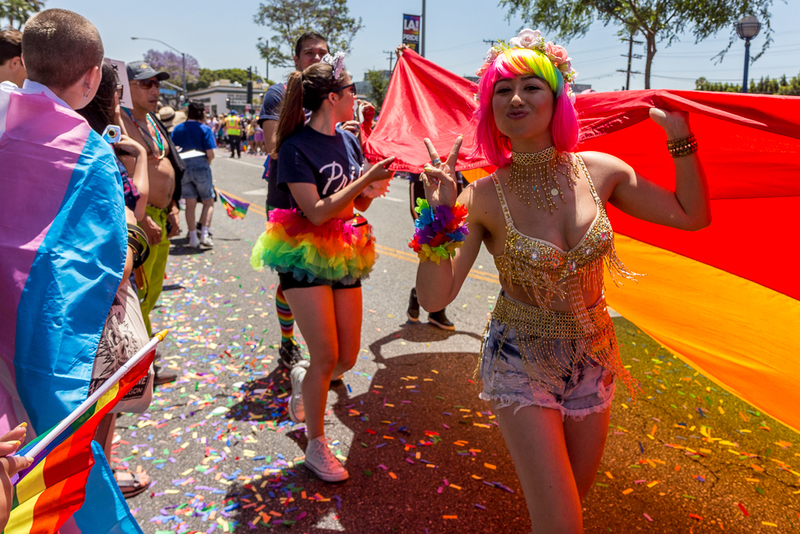 With the spirit of pride and diversity, the parade route displayed multicolored garments and flags, as well as notable politicians and organizations spreading festive support. 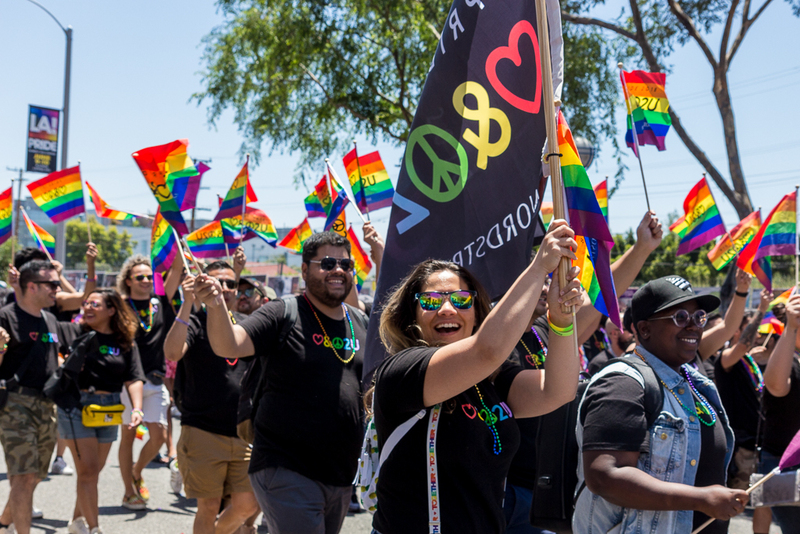 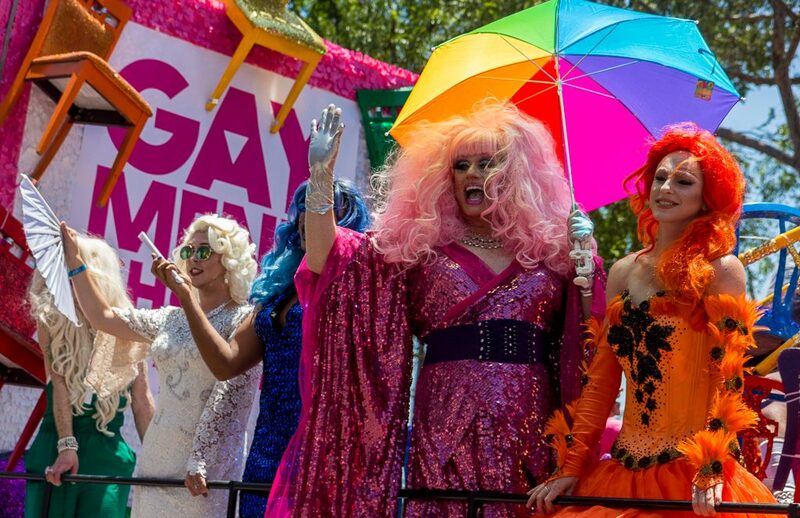 Despite the previous night’s scramble of customers who were unable to enter the Pride Festival due to overbooked ticket sales, the parade saw a noticeable change in atmosphere with proud smiles from spectators. The Pride Parade’s theme was “#JustBe,” encouraging people to be “confident, daring, and you,” noticeably present in the vast crowds of vibrant rainbow stickers, paint, tutus, and hats. 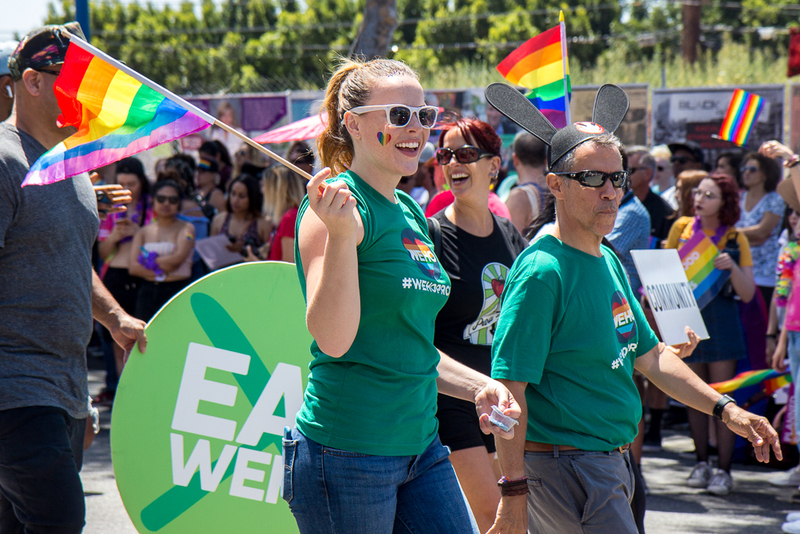 Attendees were greeted by Grand Marshal and LBGTQ+ advocate Michaela Mendelsohn. 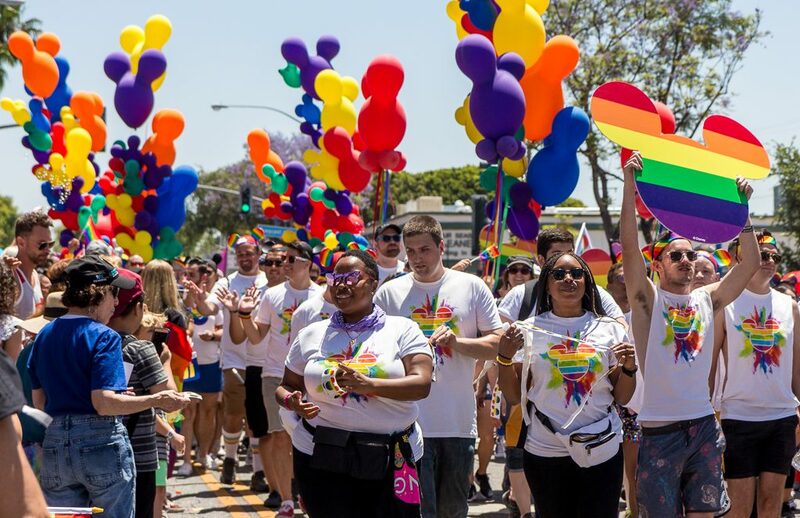 Featured guests of the 2018 LA Pride Parade included Los Angeles Mayor Eric Garcetti, celebrity attorney Gloria Allred, and South Pasadena congressman Adam Schiff. 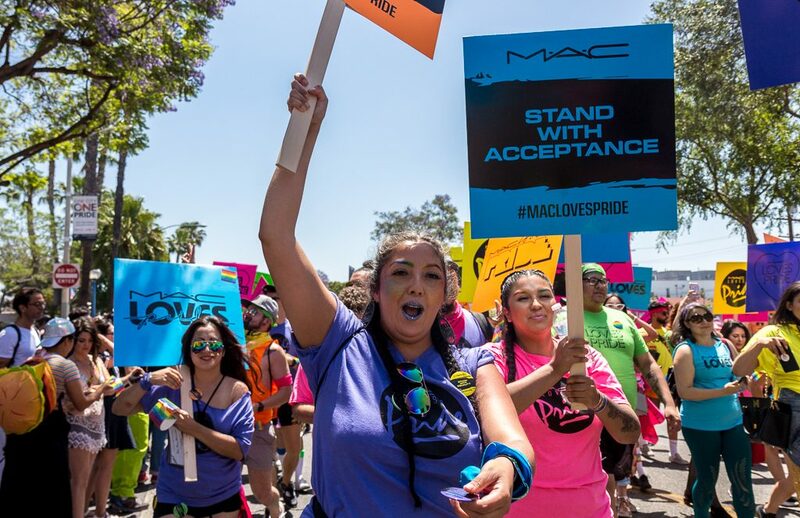 Signs inscribed with messages such as “love is pride” and “stand with acceptance” were pointed to the sky by parade walkers. 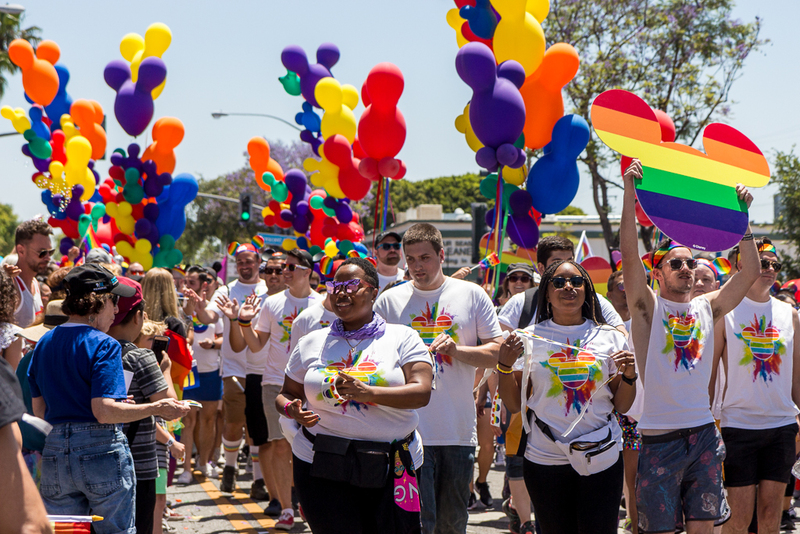 Balloon-covered buses full of dancing volunteers drove past as police sirens wailed in support. The bright pink shirts of Gays Against Guns left the crowd cheering as participants lay on the ground to honor lives lost in mass shootings across the country. 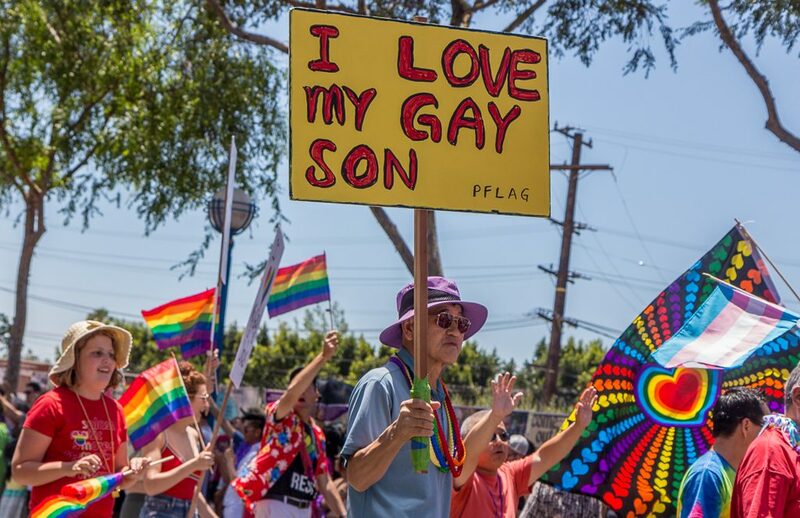 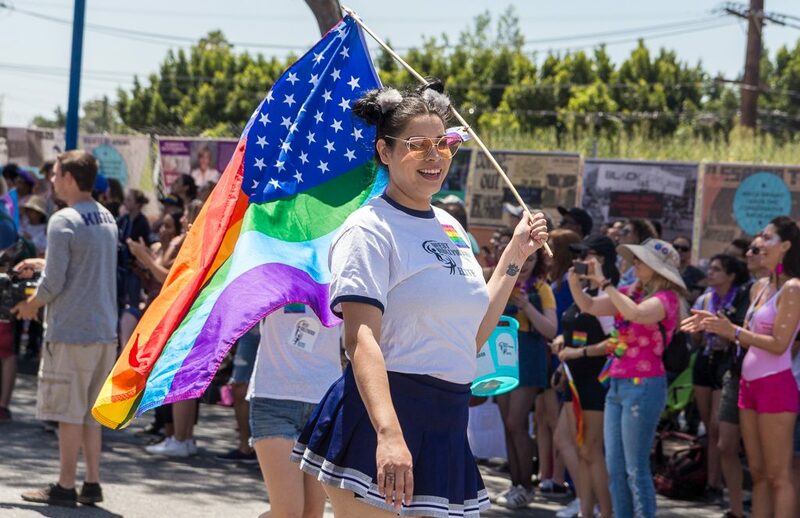 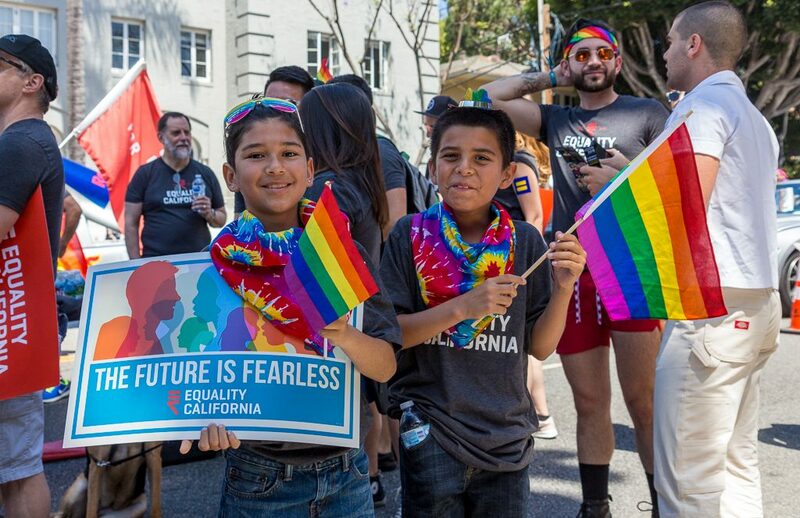 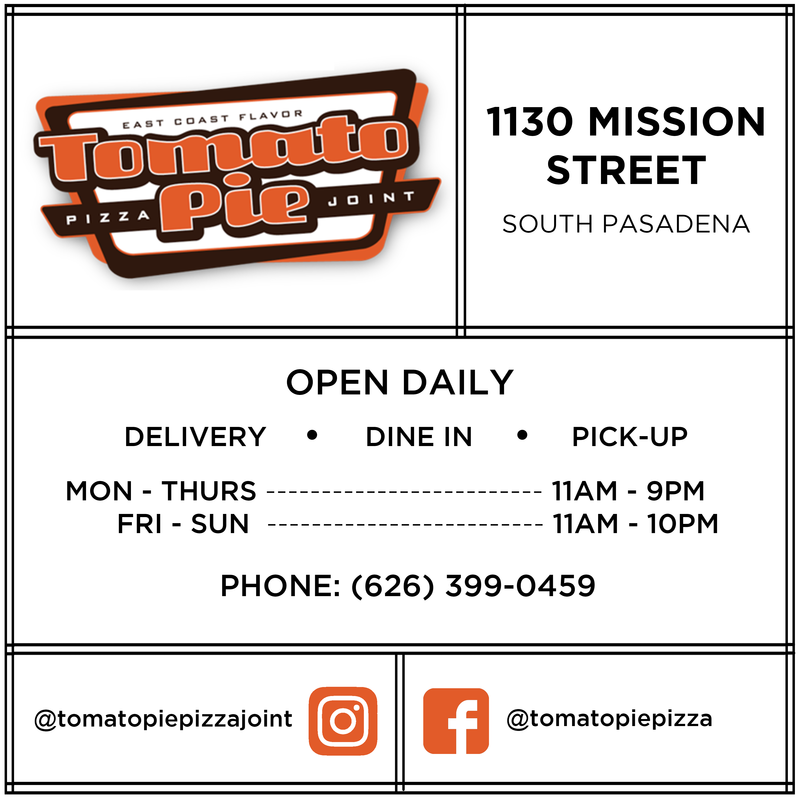 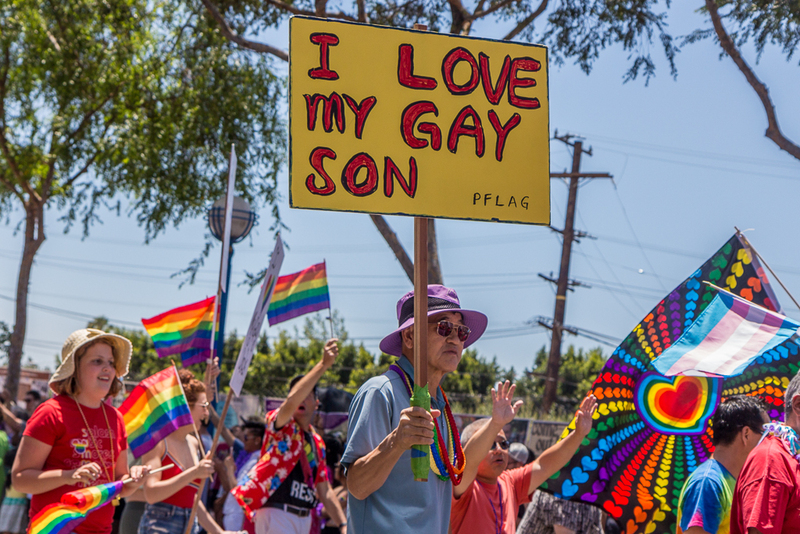 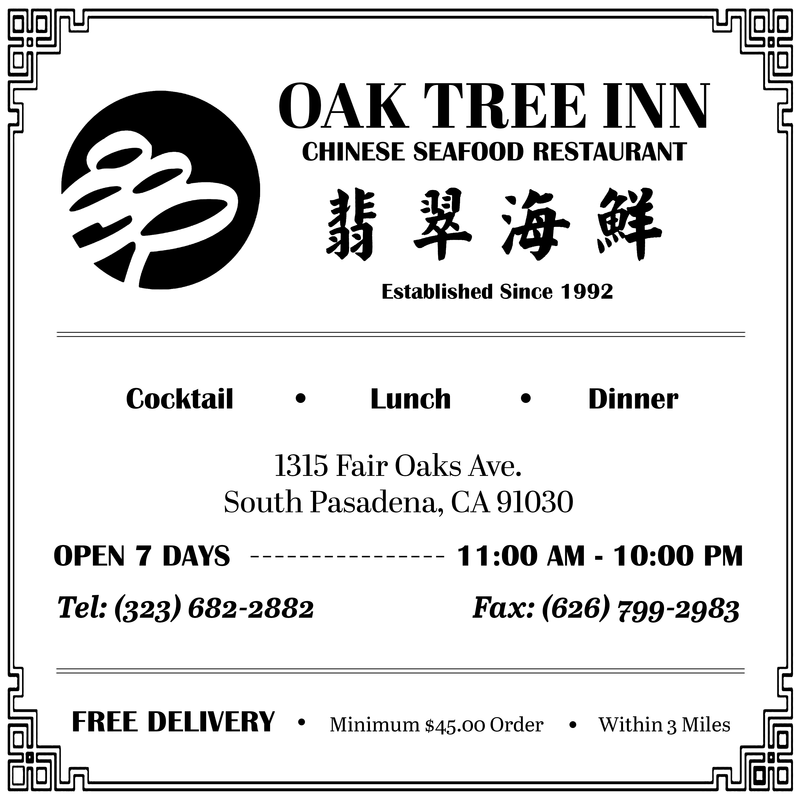 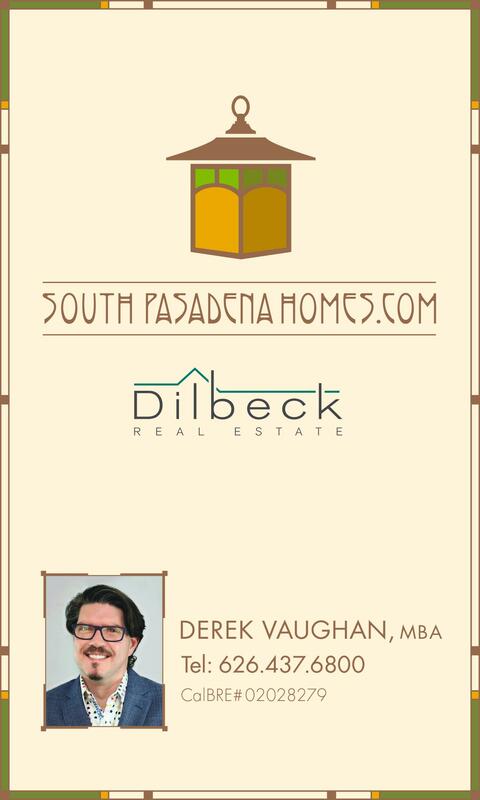 In attendance and away from the bustling sidewalks, members of the South Pasadena community highlighted the importance of pride in one’s identity.